The warmer weather is coming! What better way to celebrate than flinging open the back door and releasing the children to play outside? 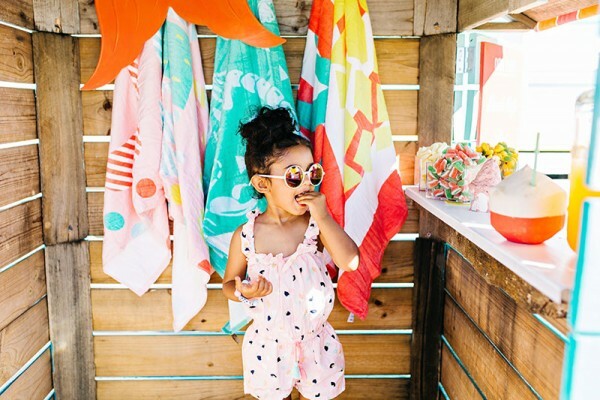 Bring the perfect summer vibe to your backyard with a Beach Box Cubby House. We’re long time fans of Castle & Cubby at Babyology HQ. This clever team turn recycled timber fruit and vegetable crates into brilliantly fun play spaces. 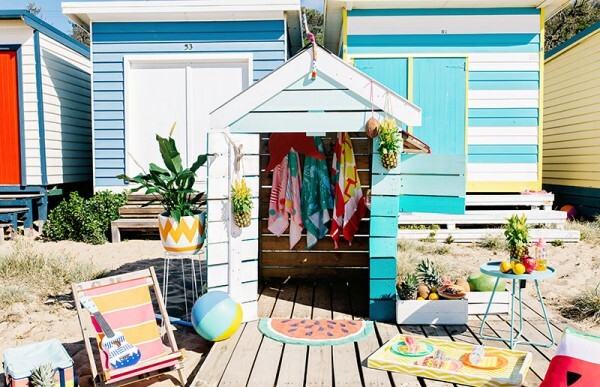 We’re happy as clams about the release of their latest cubby design, the Brighton Beach inspired Beach Box. 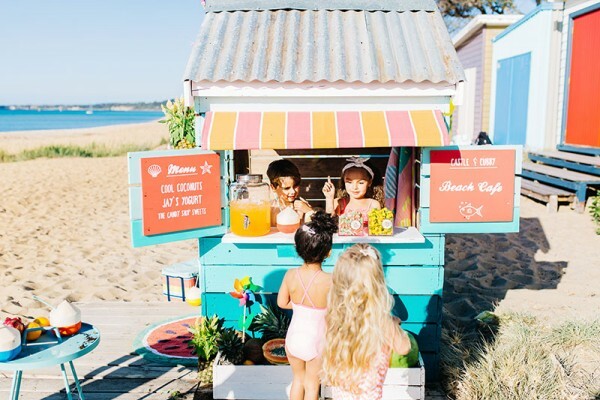 A beach café, a milk bar, a caravan kiosk… whatever little imaginations dream up, the Beach Box is guaranteed to entertain during those long spring and summer days. Boasting a gorgeous ombre paint job, café style windows, a servery and coloured chalkboard paint finishes, this cubby would be a divine addition to any backyard. Castle & Cubby don’t want you to sweat over the thought of a DIY installation. They deliver each Beach Box Cubby House with an expert cubby house builder to build it on site, right before your eyes! 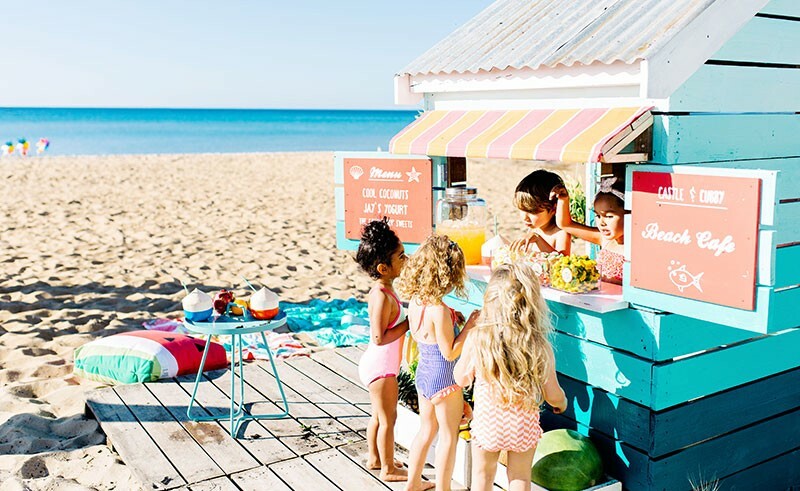 Priced $2400, you can order the Beach Box cubby house direct from Castle & Cubby.